Roger and Debbie Fankhauser met and were married in Puyallup, Washington (south of Seattle). They married in 1974 and have five children (counting the daughters-in-law!) and seven grandchildren. Matt, his wife Christina, and their two children, Lily and Ryan live in Phoenix, as does their daughter Emily. Joel, his wife Alice, and their five children, Silas, Micah, Liza, Milly, and Lee live in Bentonville, Arkansas. 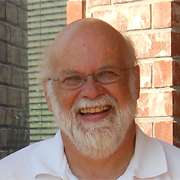 Before coming to Burleson Bible Church, Roger served as the Senior Pastor of Shreveport Bible Church for 11 years, and then taught math at Evangel Christian Academy in Shreveport for 2-1/2 years. Prior to entering seminary in 1991, he worked as an engineer in Victoria, Texas, for 13 years. He holds a Bachelor of Science in Chemical Engineering from Washington State University, a Master of Divinity degree from Phoenix Seminary, and a Doctor of Ministry degree, also from Phoenix Seminary. Roger and Debbie began serving in Burleson in October of 2009 on a part time basis while completing his teaching commitment in Shreveport. He began serving full time June, 2010. Roger’s greatest passions in ministry are helping people see the greatness of God’s grace, helping them grow in their relationship with Jesus, and seeing them respond to God’s grace in both their personal growth and their serving others. Jaris and Sherry Roth are from Albuquerque, New Mexico. They were married in 1990, and have three children, Zachary (stationed in Ft. Carson, Colorado, with the Army), Alexandria (a music therapy student at West Texas A&M), and Gabriel (a senior in high school). 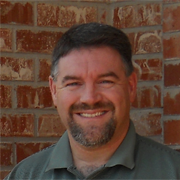 Jaris began serving as the worship pastor at Burleson Bible Church in January of 1996. He holds a Bachelor of Music degree from Wayland Baptist University and a Master of Music degree from Southwestern Baptist Theological Seminary. Sherry also holds a Bachelor of Music from Wayland Baptist University. Jaris is a classically trained trumpet player and also enjoys playing flutes and keyboards. Their desire is to usher others into an intimate experience with God through worship. They use music to help express the heartfelt emotions that believers have for their Creator. Helping the congregation fully understand and experience true worship is the priority of their ministry.